Out of the trenches and to the green fields beyond! 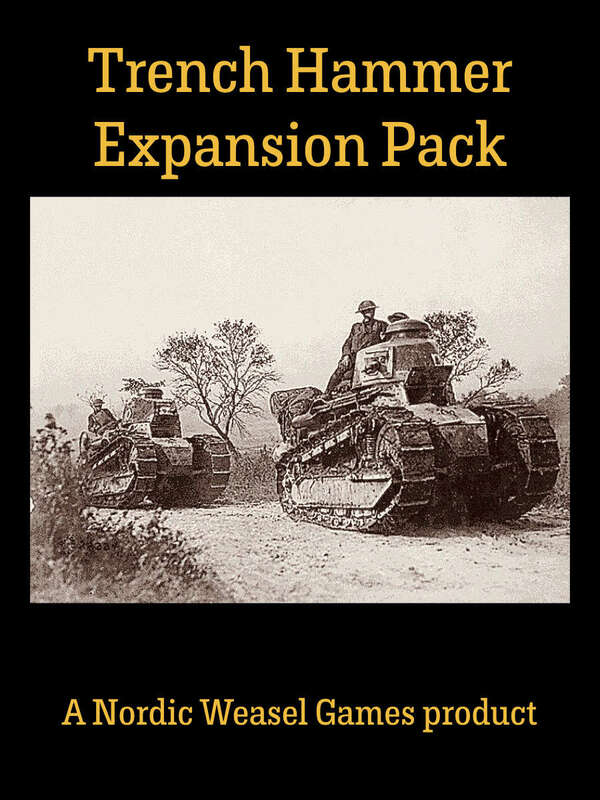 Well, if you are going to get that far, you'll need this expansion pack for the Trench Hammer miniatures rules. Offering everything from new and optional game rules, random army generation (both quick and complex), a handful of new unit types, new ways to conduct assaults and more, this offers a compendium of new ways to play your games. The booklet is also compatible with October Hammer.